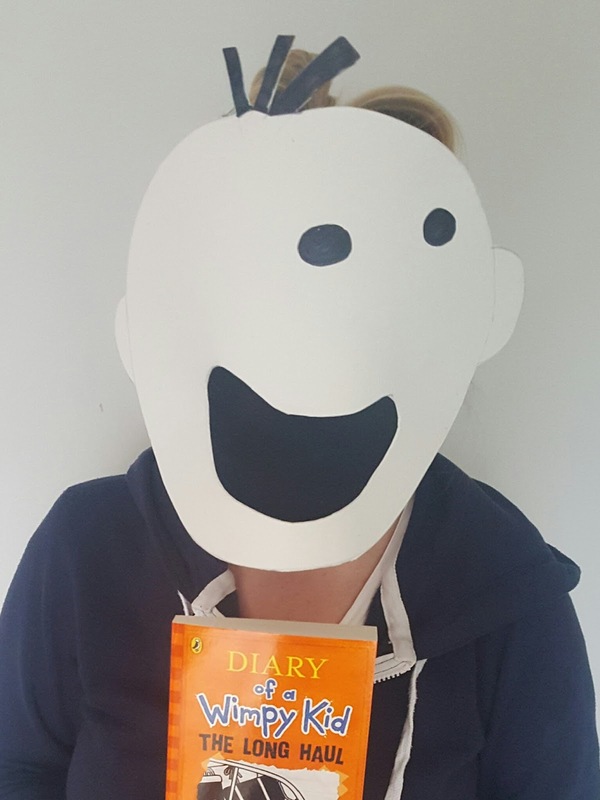 My daughter LOVES Diary of a Wimpy Kid and we have world book day very soon so I made a Diary of a Wimpy Kid inspired mask. 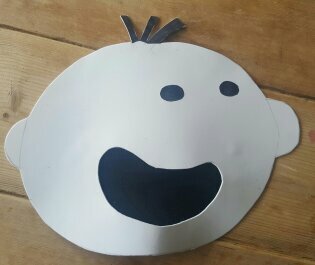 I drew an outline of the face shape on the foam using a book for inspiration. Cut this out and colour the hair strands and eyes black. 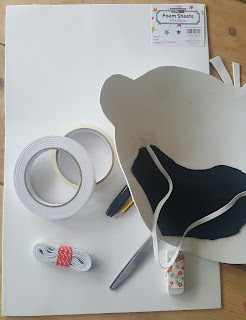 Cut the mouth out and then cover on the other side with a cut up sock or black tights. I used the double sided tape to stick the sock on which worked well. Measure the elastic and use the double sided tape the stick on either side of the mouth. 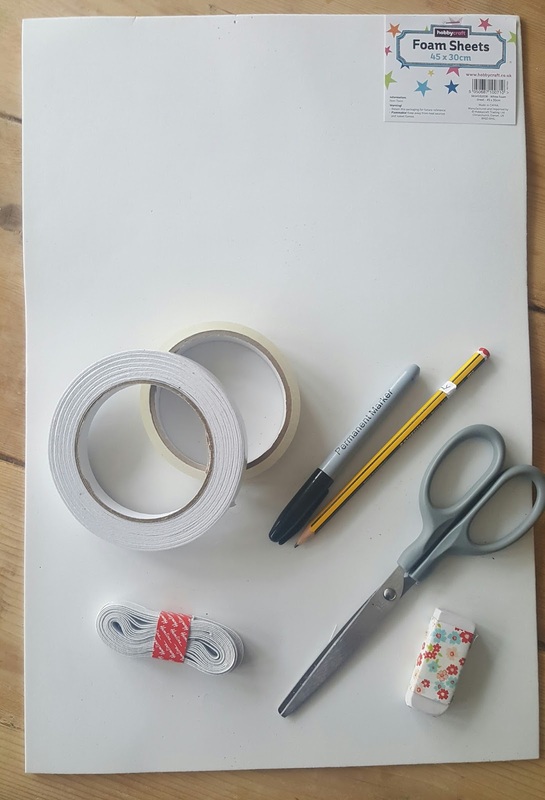 Use a small piece of the normal tape to go over this for added strength and to stop the sticky bits catching on your child's hair. Hey presto you are finished.